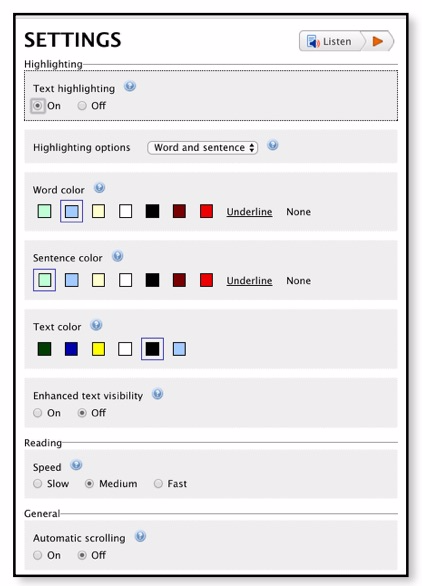 Can the webtext read out loud to me? 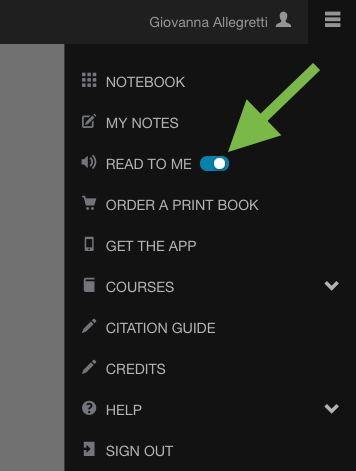 Click the Tools button in the upper right corner, and then toggle the “Read to Me” switch to turn on this feature (currently not available for mobile). This will cause a Play button to appear at the top of each page. Once you click Play, you will see a gear icon that you can then use to change the settings. 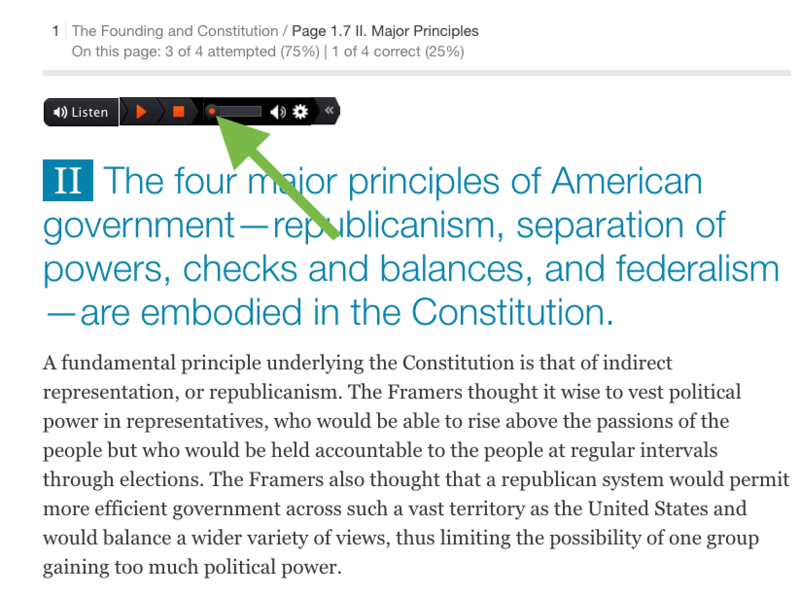 To skip ahead to a certain part of the page, click and drag the slider. Click the Play button on the player. Press Tab twice to select the slider. Use the right and left arrows to skip ahead or skip back. If you wish to use the Enter key to play or pause again at any point, you will need to click on the Play button again to bring the selector back. 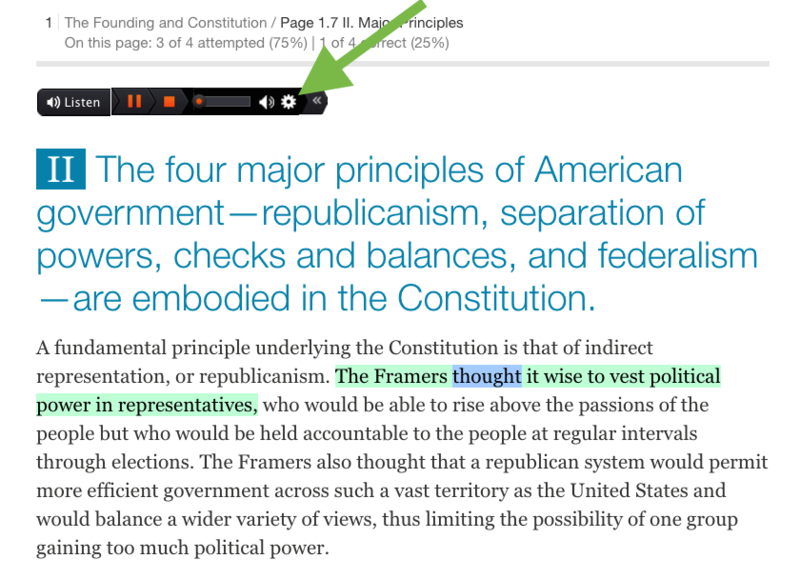 We are committed to making content that is accessible to all students and instructors. If you need particular accommodations, please visit your school’s disability office. We will work with them to find an appropriate solution.